The talented florists at The Swan Flower Company created a beautiful midsummer’s garden in the Balcony Room, with tumbling wisteria and overflowing florals as part of our 2018 summer pop up. 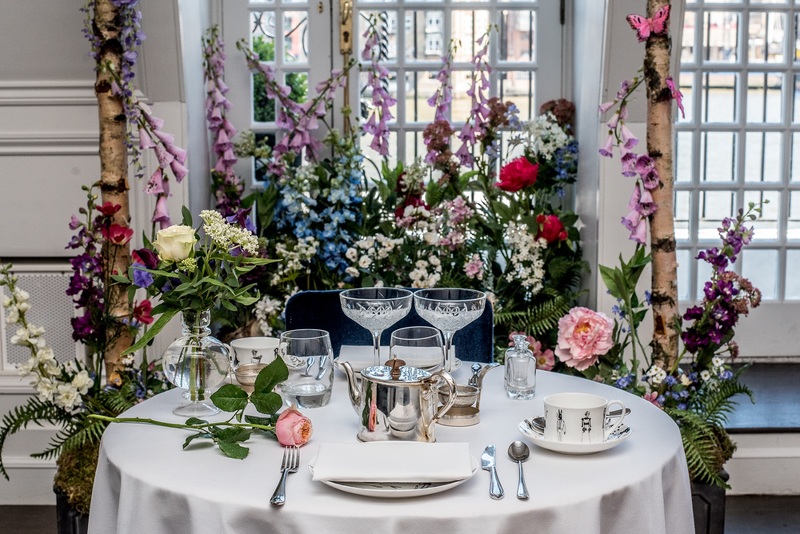 By day we served our A Midsummer Night’s Dream afternoon tea, which is inspired by the characters’ journeys in Shakespeare’s great romantic comedy, served upon bespoke crockery in Titania’s Tea Garden. Dainty wild mushrooms and evocative floral flavours including lavender and elderflower appeared throughout the menu, and helped to set the scene of the enchanted woodland where the story takes place, whilst the mulberries from the lover’s tree filled our scones, and the apricots that Titania feeds to Bottom flavoured the jam. 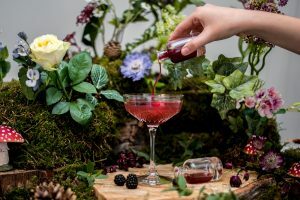 Come dusk, Puck’s Gin Bar opened, and guests enjoyed delicious cocktails and sharing plates whilst taking in the floral surroundings and the fabulous views across the River Thames.